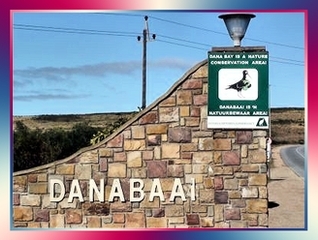 Whilst often disregarded simply as a suburb of Mossel Bay, Dana Bay is in fact a conservancy, set in the heart of the Cape Floral Kingdom, home to fine examples of coastal and limestone varieties of fynbos under threat from global warming. Limestone fynbos is rich in species and supports among the highest numbers of endemic species in the entire Cape floristic region. 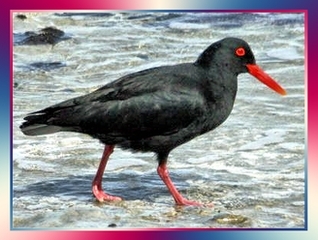 Because of its conservancy status, bush buck, steenbok, mongooses and Cape francolins roam freely in Dana Bay; and the prolific bird life, which includes a colony of black oyster catchers and over 85 other bird species, adds to the tranquillity and beauty of the coastline and incredible views of beach and horizon. Dana bay white sandy beaches stretches for miles and is largely undisturbed, inviting lengthy morning and afternoon strolls and sundowner picnics - sunsets are legendary on this part of the coast. Add to this Dana Bay’s easy access to restaurants, entertainment and shopping malls, museums, harbour and yachting facilities, water sports, and eco adventure opportunities, and the beachfront village becomes something more of an attraction. 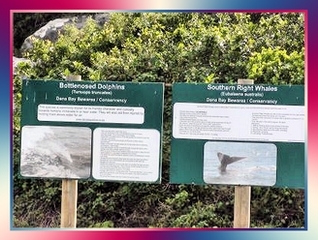 Schools of up to 500 dolphins have been sighted along the coastline, and during whale-watching season, Southern Right Whales are a joy to behold. Jackal Buzzards breeding in Dana Bay Conservancy and they can often be seen soaring on the wind currents above the kloofs. 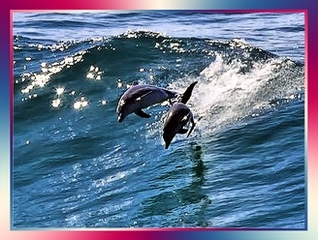 They nest on cliff ledges. The St Blaize hiking trail is a wonderful cliff walk - an easy 13.5 kilometres along seaside cliffs and through sections of fynbos - of which you can hike a part or do the walk in its entirety. 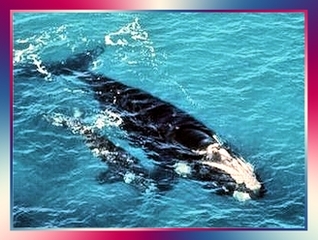 It also provides ideal spots to sight whales in season. 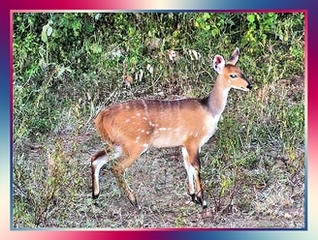 Kay Cera Guesthouse and Self Catering is +-3km from the Casino and Pinnacle Golf Course. George’s Airport is an easy 30 minute drive.